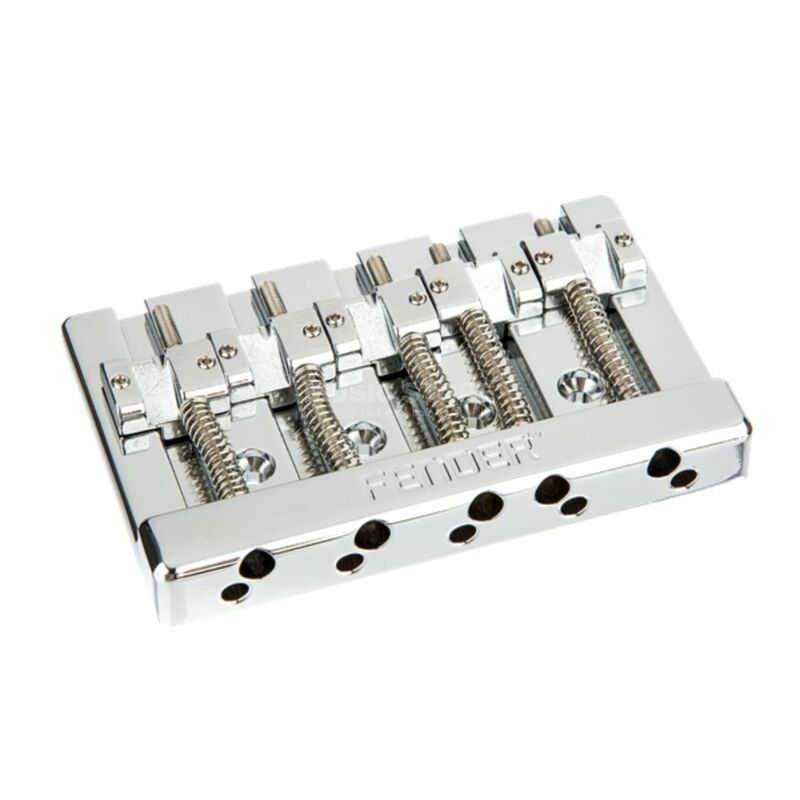 The Fender HiMass 5-String Bass Narrow Bridge (Brass Saddles) is a replacement bridge for 5-string electric basses from Fender. Equipped with Brass string riders, it strengthens sustain, tuning stability and at the same time lets the attack stand out more prominently. Please Note: Mounting hardware is not included as standard with the HiMass Bass assembly. The screws recommended by Fender are the 0021422049 Bass/Telecaster Bridge/Strap Button Mounting Screws.